Bitmojis are a fun, easy, visual tool for enhancing lessons and other aspects of your classroom. The best part is that it’s FREE! First, what exactly are bitmojis? Bitmojis are personal emojis created from a cartoon avatar that you design to look like you or your alter ego if you’d prefer going that route. This week’s #TechTipThursday features Bitmojis. 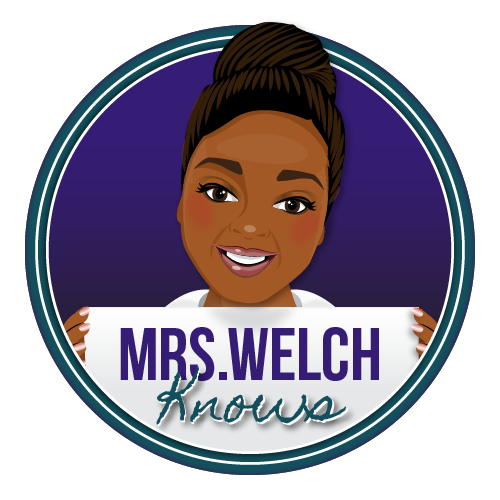 I have the honor of collaborating with the amazing Angela Byrd, @thewokestemteacher, on this post. Check out more from Angela here. Can I say, FUN, again? Go to www.bitmoji.com or download the app. b. Apple App Store - type Bitmoji into the search bar of the Apple App Store. 3. To use, add the extension to your Chrome browser. If you don’t use the chrome browser, you can email yourself the images from your phone app and download them individually. 1. Grading: Bitmojis are a great tool for supplementing letter grades on assignments. If you are looking to give quick student feedback without giving students letter/percentage grades, Bitmoji are perfect. 2. Rules: Bitmojis can be used to post rules around the classroom. You can attach a Bitmoji to each rule you have listed in the classroom. 3. Instructions during presentations: Bitmojis are also a great way to give a continuous set of instructions to students without sounding repetitive. I love to put them on slideshow presentations to give students instructions on what they need to do for each slide. 4. Rewards/Certificates: Bitmoji can be printed out on certificates to use as rewards for students for various behavioral or academic successes. 5. Student Response Cards: Bitmoji can be printed onto cardstock and given to students to use as response cards. These cards help to perform a quick check for understanding. Each student can create their own Bitmoji and print a yes, no, and I am unsure response to use when doing formative assessment. 6. Procedures: Bitmoji can be used to list the procedures you want students to complete as they enter the classroom. This is an effective and fun way to handle classroom management. 7. Incorporate in independent practice: Bitmoji can be used in independent practice to encourage thinking in students. You can add small questions to encourage students to think further. 8. For students to describe concept/idea: Students can use Bitmoji to describe a concept or idea they are learning about in class. A great way to allow students to demonstrate this is through allowing them to make a short comic. 9. Encouragement: On test, quizzes, and special challenges include a “You Got This” bitmoji. The students love when I’ve used them and it gives that extra umph to know that I believe in them. 10. Exit Ticket/Self-Assess Learning: For this you could print traditional exit ticket with the your bitmoji, create a Google form or use a Learning Management System (LMS), use a digital discussion board tool such as padlet, or use Google Slides with each students having their own Slide to self-assess their learning or understanding. I understand how all bitmojis aren't school appropriate but if you get parent permission and train the students not to use bitmojis that aren't appropriate for school, students can use their own personal bitmoji to assess themselves. Bring on the tougher stuff! 11. Professional Development Presentations: I use bitmojis during my professional development presentations to add humor and be expressive of how I feel about the information that I am sharing. 12. Hook: Use bitmojis for writing prompts. Give students a bitmoji and have them write based on the bitmoji provided instead of a topic. You could also use this as a preview of the learning or as a part of the essential question. This is sure to hook their attention and have your students on the edge of their seats. 13. Introductions: Use for student to introduce themselves at the beginning of the school year. You can make your own to share as an example, killing two birds with one stone. 14. Badge: Using them as badges when students level up is a perfect way to gamify your classroom. Students will enjoy building their collection of bitmoji badges. 15. Stickers/Stamps: My students are middle schoolers and they love stickers and stamps. You can print your bitmojis on to labels and use them as stickers or get a stamp made with your bitmoji. The easiest and probably cheapest idea is to print them as stickers. These stickers can offer affirmations/celebrations or feedback.